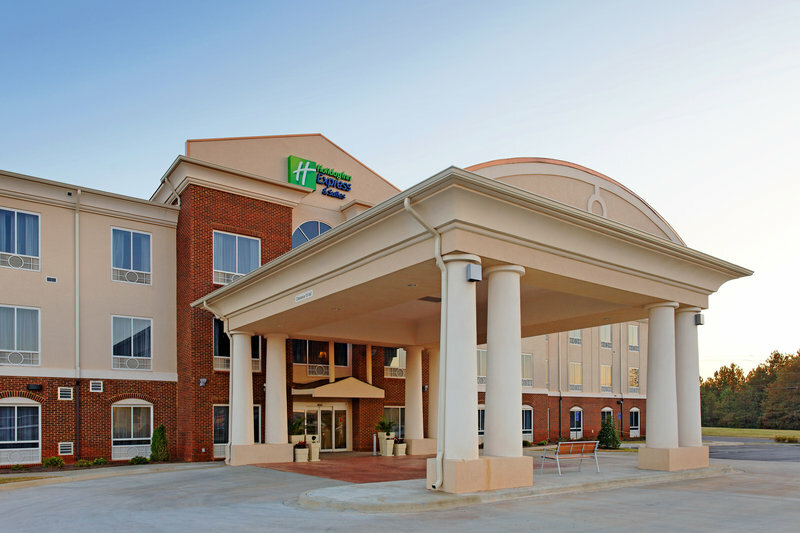 Check Rates & Availability at Holiday Inn Express & Suites TALLADEGA! Enjoy the hospitality of Talladega, Alabama Talladega is home to NASCAR at the Talladega Superspeedway, Talladega Civilian Marksmanship Park, Top Trails, Talladega Gran Prix Raceway, Talladega Short Track, Talladega College, Ritz Theatre, DeSoto Caverns Park, Lake Logan Martin, Cheaha State Park and surrounded by Talladega National Forest. A unique place to enjoy, relax and dream away. The location is unbeatable as many businesses, restaurants, and attractions are within walking distance or minutes from our front door. We are in close proximity to big industries and organizations, like Honda Manufacturing of Alabama, Kasai North America, PFG, Scotts Industries, Precision Strip, Koch Industries, Georgia Pacific, Koch Foods, Citizens Baptist Medical Center, Masterbrand Cabinets, Wellborn Cabinet, AIDB Alabama Institute of Deaf and Blind, Presbyterian Home for Children, Shocco Springs Baptist Conference Center and Central Alabama Community College. As a new hotel our on-site amenities are state-of-the-art. Take advantage of the modern convenience of our Business Center with fax and copy services, free high-speed wireless and wired Internet access, outdoor pool and Fitness Center, bringing together the conveniences you expect. Come discover Talladega, Alabama!